Weekend Update .:7:. — MommiesRun. 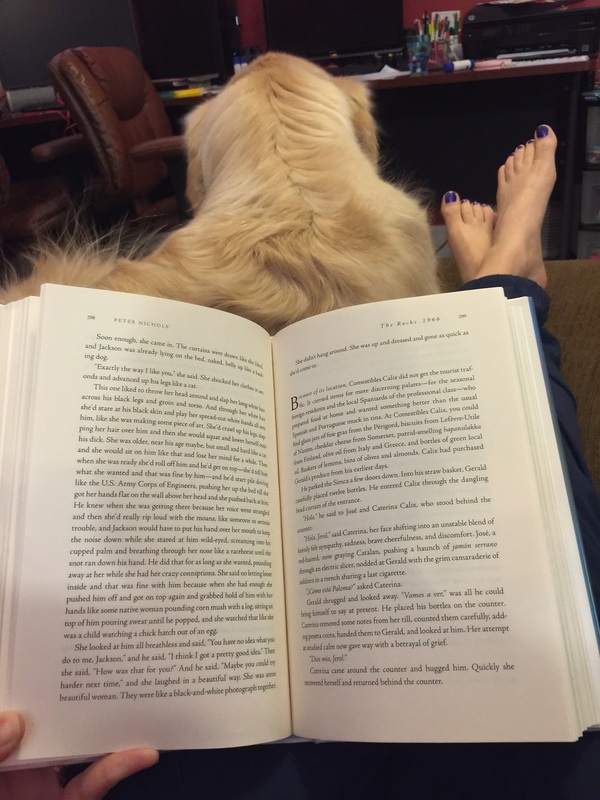 Sep 7 Weekend Update .:7:. My friend Tara, from Running N Reading might have her Weekend Update link up on hold for now, but that doesn't mean I can't still play along. By myself. I'll just be sitting here waiting, so feel free to tell me about your weekend in the comments. Josh: Lyla, are you sure you want Jolly Ranchers? That's hard candy. Lyla: Ooooooooh. I thought it was easy candy. I really wish I had it on video. It was a classic Lyla moment that left me snorting from laughing so hard. Of course she had no clue. On Saturday I woke up early to get my run done since it was GAME DAY! This is the day we have been waiting for since January! It felt so good to turn on the SEC Network and hear positive things about the Vols. While I've been hesitantly optimistic about all the good press we've been receiving, I'm quick to be realistic. Nevertheless, football is here and we loved spending the morning watching Game Day! My parents came to pick up the girls for a sleepover, which allowed Josh and I to watch the game without having to temper our curse words. It also allowed me to drink some of my beer that I had picked up at On Tap Growlers. It's a delicious Brewer's Series from Ghost River that I would love for them to bottle. It's so good! The game had highs and lows, but overall the Vols made a great showing in our opening game. I am so impressed by our offense, and I'm hopeful the defense will get it together before Oklahoma next weekend! I ended up sleeping in a little bit on Sunday instead of waking up early to run, which I had planned. It was pretty nice to wake up and read though, so I'm glad I made that audible. I finally finished The Rocks, a suggestion from Tara. I truly enjoyed this book, even though it is slow in parts. The story is so interesting and I love the way the writer, Peter Nichols, allowed it to span over several generations. The girls got home from their sleepover and were eager to swim, which I was happy to do as well. I'm still amazed at how they swim like little fish. I know I shouldn't be surprised, these girls lived in the bathtub when they were babies and toddlers! My "running husband", Scott, who is actually on of my best friends Jana's real life husband, recently went to Seattle on business. While he was there, he met up with the Oiselle Birds for a run and apparently he ordered a super awesome surprise for Jana and me which arrived on Friday. Yep, this awesome dude got us the coveted "Born and Raced in Seattle" shirts that are available in the Oiselle store only. This was seriously the best surprise ever! I got some laundry and dishes done, and then we all decided to go for wings at Wing Stop. Their lemon pepper wings are ridiculously delicious. Also, I'm pretty sure that kids eating wings is one of the funniest things ever. They just dig right in, while I prefer to pull the chicken off the bones. And just like that, the weekend was over. For most of America, the weekend continues until Monday for Labor Day, but this pharmacist gets to save lives on Labor Day. Feel free to thank a pharmacist in my honor. Do you pull the chicken off the wing, or dig right in? Jun 8 Weekend Update . : 6 :.